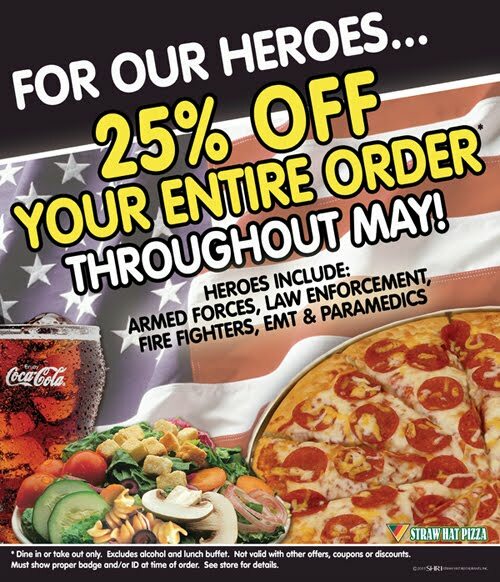 All U.S. Armed Forces, Law Enforcement, Fire Fighters, EMTs & Paramedics. Must present valid ID or badge when ordering. Tax not included. Cannot be combined with other offers or discounts. Valid May 1 through 31, 2011. Dine in and take out only. See store for complete details.